144" UNCOUPLED SKID: Tipped up rails and rail reinforcements give this Assault a more nimble feel on-trail and added durability. A 15" x 144" x 1.352" Cobra or 15" x 144" x 2.0 Powder track for added flotation and off-trail performance. PROTAPER® BARS: High-rise aluminum design and adjustable bar clamp creates an optimum riding position that can be tailored to your riding style. Bar hooks and race-style master cylinder round out the purpose-built controls. ALUMINUM BUMPER: Aluminum tube matched to extruded billet hangers create a bumper that is strong, light and trick. The snow flap is lightweight and features hand access for when you really dig it in. RIGHT HAND CONTROLS: The throttle block and a separate kill switch perch can be positioned independently for improved ergos and ability to tailor your controls. OPTIONAL SECURITY SYSTEM: Prevents unauthorized driveaway of idling sled, can be installed by dealer on sleds with PRO-RIDE™ gauge. 600 CLEANFIRE® ENGINE: This liquid-cooled Cleanfire® engine with semi-direct injection (SDI) deliver outstanding throttle response and instant acceleration. 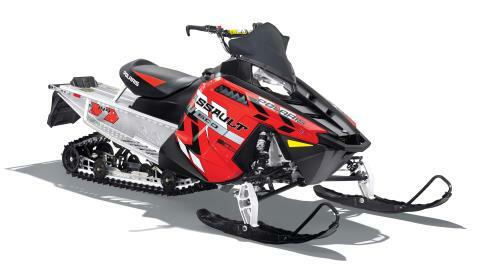 These powerful, efficient engines produce the impressive power-to-weight ratios that deep snow riders demand. Cleanfire engines start easily and reliably and they calibrate automatically as the temperature and elevation change. 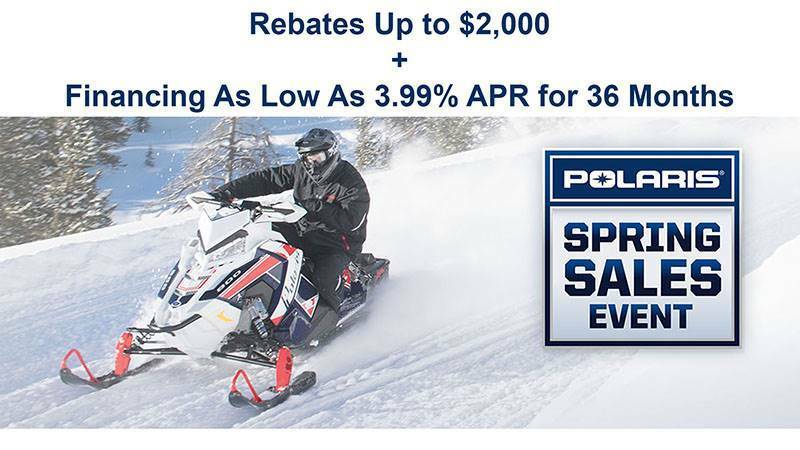 These engines deliver impressive fuel economy in real-world riding situations, which, for Polaris riders, means aggressive, up-tempo riding, not low-rev lab conditions.